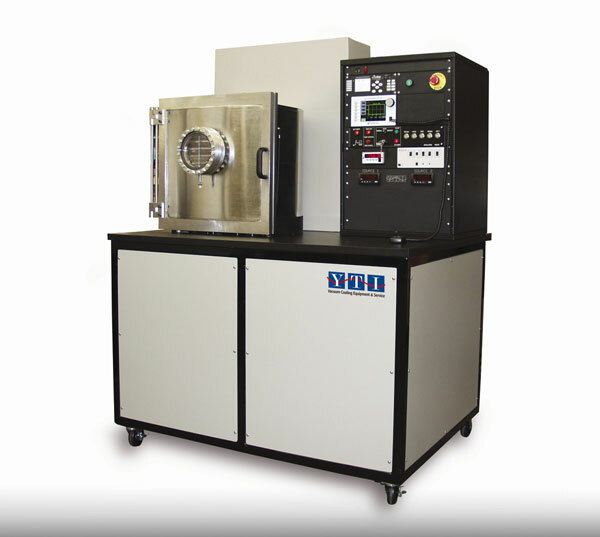 YTI manufactures state-of-the-art PVD, CVD, and PECVD vacuum systems. More than thirty years of hands on experience and design capabilities in vacuum technology allows our engineers to analyze your process and offer sound, equitable solutions for your requirements. We work closely with our customers to ensure design integrity as the system is being constructed and integrate customer supplied equipment as requested. Systems are available in bell jars, box coaters, load-lock, in-line, and batch. Likewise, a wide variety of sources can be installed, i.e., electron beam sources, thermal sources, ion sources, and magnetron or diode cathodes (RF or DC). YTI offers in–house automation technology to assure consistent performance. With lower start-up costs, and yielding a higher throughput and superior product, YTI offers the best price to performance ratio available. Please call with your requirements and discover how YTI can make your company more competitive in today’s high-tech environment.